Would you like to buy a property direct from the owner? Parapar is the website you are looking for, you will find property for sale in Spain by owners but also properties from others countries in Europe. Parapar was created in 2015 in spain, specialised in the mediterannean coast, from Gibraltar to Girona, but it is now expanding. You can find on Parapar properties for sale in Spain by owners direct but also properties from a selected number of Real Estates. List of properties from owners direct. Why search properties for Sale on Parapar webistes? We want you to save time and money using Parapar as your property portal. First of all properties for sale by owners direct have 0% commission, that will make you save a few thousands of euros, and owners are asking the price that they want, no need to inflate the price to cover the real estate commission. Making you save money does not mean that you will get a poor service. Our agencies are committed to offer you an excellent service. We, all the team of Parapar and all the Real estate agencies are seeking a 100 % client satisfaction. An other advantage, our network of agent are able to offer almost all the properties for sale in their area, because their are part of MLS (Multi Listing Service), a huge databasse of all the agents, so you just need one agent to have access to all the properties, no need to deal with more than one agent. If you dont have it clear why you should use Parapar as your property portal, contact us with your questions and doubts.. If you can´t find the property in our Property search or just don't have time to search in our site, fill in those details and we will send you the list of available properties matching your requirements. How can i create an advert to sell my property in Spain by owners direct? You will need to register by clicking www.parapar.co.uk/list-your-property. You will receive an email with your password to access My account section that you can find on the top of the page. You can have your advert publish for an unlimited time for a fee of 145€ included vat. If you prefer you can pay for 4,6 or 12 months, check the prices on that page. You can create the advert from your computer desktop or tablet or even your smartphone. Once in your private account, you will be able to create and modify the advert and the photos as many time as you wish. You will have information of the statistics of your advert, how many time it has been seen and how many emails you received from potencial buyers. With all the advantages mentioned above for the buyer to search on Parapar websites, we guarrantee you that there are more and more potencial clients searching on Parapar websites. If you prefer we can create the advert for you for NO extra charge. 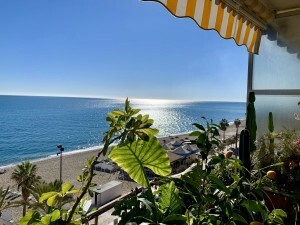 We can create the advert property for Sale in Spain by owners direct for you Free of charge, do not hesitate to contact us if you need help to create your advert sell my property in spain. 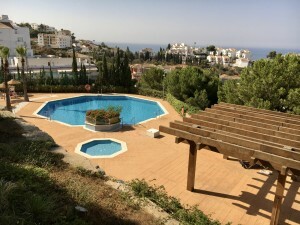 0 responses to "Property for sale in Spain by owners direct"